District cooling energy system is used to produce cooling effects within the certain district or area to be cooled by using chilled water in insulated pipes fitted inside the walls of buildings.District cooling energy system involves various components like Chillers, Cooling Towers, Condenser Water Pumps, Chilled water Pipes, makeup water system for condenser and chilled water, controls etc. Moreover the thermal storage tanks and primary, secondary and tertiary pumps can be used to increase the efficiency of energy reduce the payback time/load and can be cost effective. District cooling energy system cools water at central water treatment plants and then transfers it to the various buildings/households with the underground pipes. 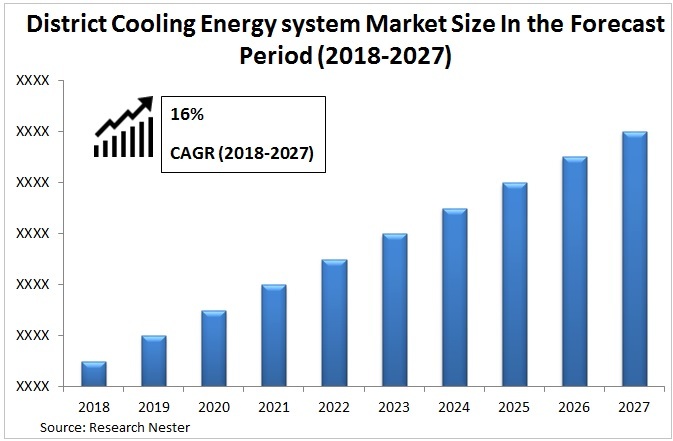 Global District cooling energy system market is expected to account for a market size of around USD 12.09 billion in 2027 witnessing a CAGR of 14% during forecast period. Rise in consumption of cooling energy by a large number of people across the globe propelled a rise in demand for district cooling energy system. Additionally, increase in awareness towards the adaption of ecofriendly energy system is affecting the positive growth of the global district energy system market. 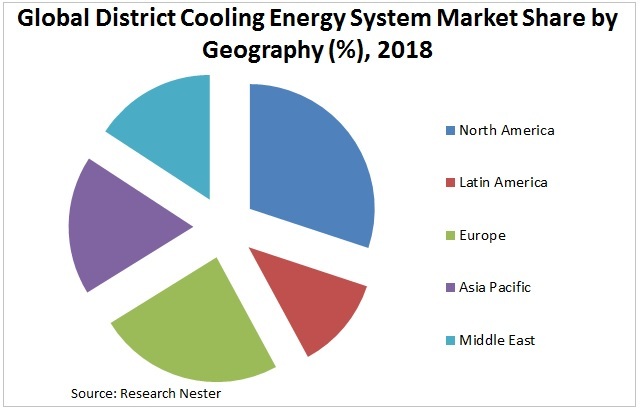 On the basis of regional platform, global district energy cooling market is segmented into five major regions including North America, Europe, Asia Pacific, Latin America and Middle East & Africa region. On the basis of regional platform, Middle East is anticipated to hold key growth potential in the market on account to the increase use of cooling energy and cost effectiveness technology adds up to the reason for growth of district cooling energy system market. Within Asia Pacific, China and India is expected to contribute the modest growth in forecast period backed by raising temperature in forecast period. 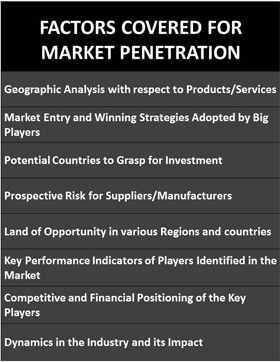 On the basis of regional analysis, global district energy system market is segmented into five major regions including North America, Europe, Asia Pacific, Latin America and Middle East & Africa region. MEA region (Middle East and African) is expected to propel the growth of district energy market by 2027 with rise in demand for low emission cooling energy system by the people of region. 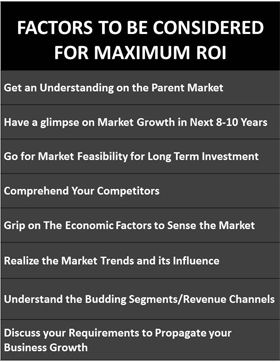 North America and Asia Pacific is also expected to showcase the modest and steady growth in market from 2018-2027. Availability of larger area that covers ocean or sea that can help to generate wind energy in offshore is the major growth driver of the industry. According to “Association Industry Conditioning Air and Refrigeration Japan” number of air conditioning units used in 2017 was 110 million with 8% increment compared to previous year. Increase in the use of cooling energy by a large strata of population across the globe led the demand for district cooling energy system in forecast period. Rising demand for infrastructure propelled the constructions companies to increase the construction output which further drives the demand of air cooling system market. Additionally, Increasing variability in temperature directly imparts growth in the demand for the energy cooling system. Government supports towards the adaptation of eco-friendly cooling energy system across the world led the demand for district energy system and anticipates the positive growth in market. 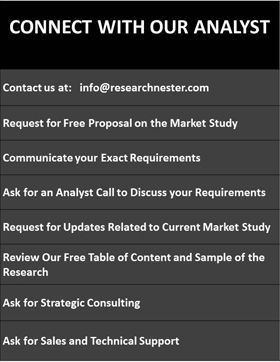 Moreover, regulations implicated by government on efficient energy system in Asia Pacific and North American region directly impelled successive growth of global district cooling energy system market in the expected forecast period i.e. 2018-2027. Increase in the greenhouse gas effect by emission of co2 with normal air conditioning system led to a rise in the demand for non-polluting energy cooling system which further drives growth in the district cooling energy system market. One of the challenging factor that is hampering the growth of the market is high initial cost for setting up the district cooling energy network from the central water treatment plants to the end users.